This is the girl that started my Jaguar interest. Sadly she died on 8/11/14, but fortunately I held back 1.1 of her offspring from her 2014 clutch (pictures below). She was a 2008 hatchling which I imported from Germany (Precision Reptiles) in 2009. She was nearly seven feet, and her colors were some of the brightest I had ever seen. She will be missed. I produced this girl from the above Precision female. 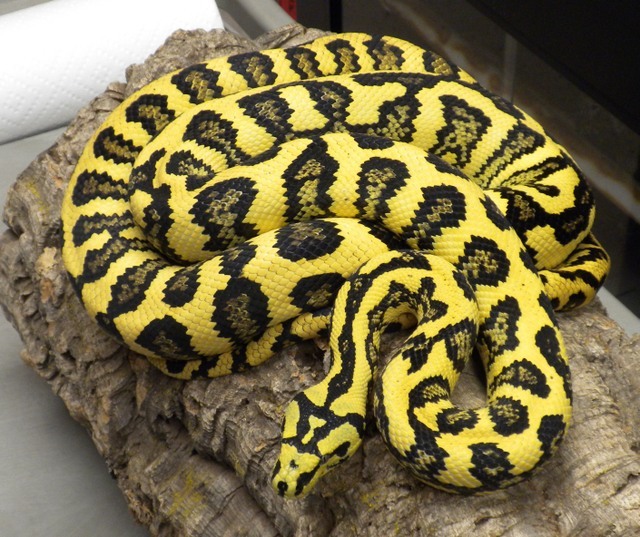 Her father was a pure Diamond Python (Gary Valle) and she is coloring up nicely. Hoping to breed her in 2017. This male has a lot of coloring up to do, and he was the “pick” of my 2014 clutch. (Mother and sister posted above). His father was also a pure Diamond Python (Gary Valle). This beautiful girl was produced by Michael Beach in 2011, and I’ll breed her into my Precision DJJ Line next season (2016/2017). Her Dam was “Tina” and her Sire was a 2007 Pure Jungle. Thank you Todd Stinson for giving me the opportunity to add her to my group! 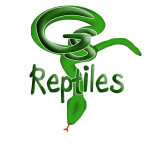 Copyright © 2014 GS Reptiles. All Rights Reserved.